The All2PC.com existed by the connection with company ferrovelho.com over 15 years older. We, offers experience in the computing world and electronics. We provide a specialized service in the trade of hardware, electronic equipment and high-tech used hardware. Always seeking the best for our customers like quality products we have always our produts are tested before put in the market. 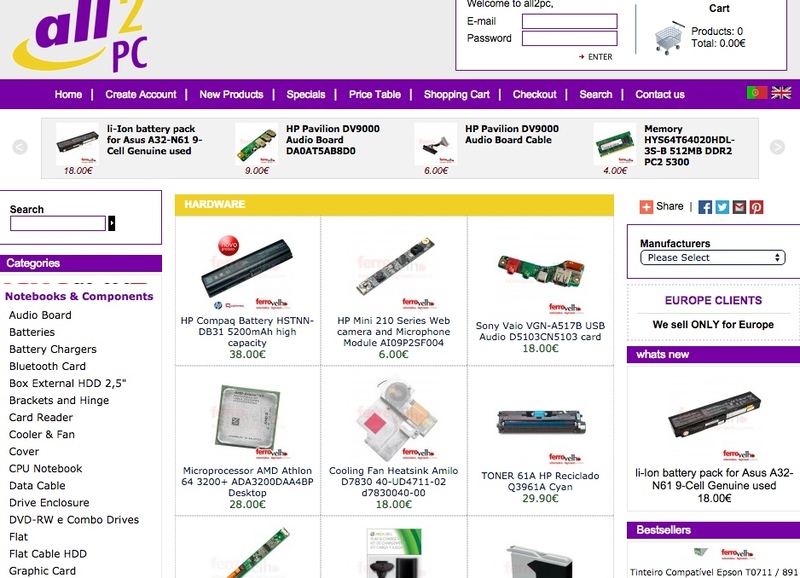 The All2PC.com has very competitive prices in a market that shows more and more demanding, ensuring high standards of quality products. The information associated with the product when available, is sent to the manufacturer so that they have the information needed to buy in our store used hardware.